Home / Hardware / News / Nvidia / NVIDIA dual GPU GF104 , GTX 485 ? 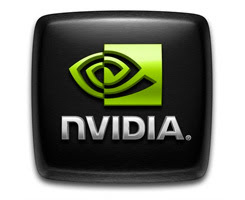 NVIDIA will release a dual-GPU card based on the GF104 soon ,maybe its the GTX 485 or GTX 490 using dual GTX 480 GPU. A Chinese roadmap claims that such a card should end up with whopping 375W TDP. The new dual-chip card based on two GF104, second generation Fermi chips should be coming this year, maybe for back to school but we can only speculate on the launch date. The GF104 will be first encountered in the NVIDIA GeForce GTX 460. This card should come out during the coming months and will have a power draw of 150W, about a quarter less than the GTX 465.